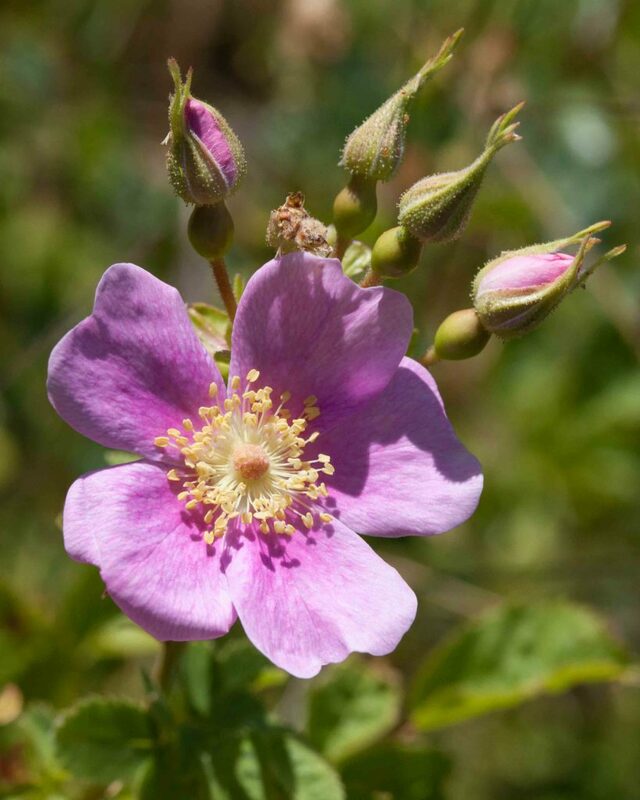 Happily this beautiful flower is very common, not infrequently found in open dry places as well as the moister places it favors. 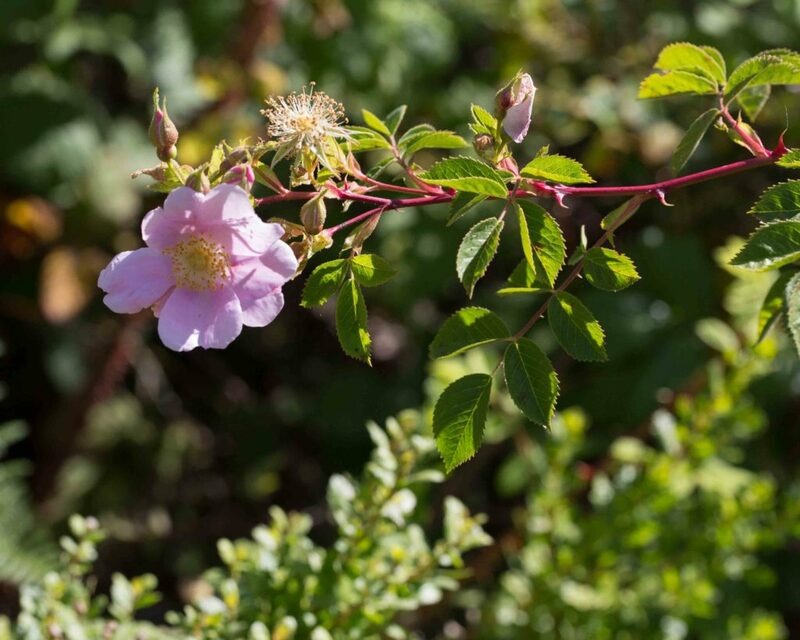 The flowers are larger and paler than the other native roses and its leaves are also larger, pinnate with 5–7 toothed leaflets. 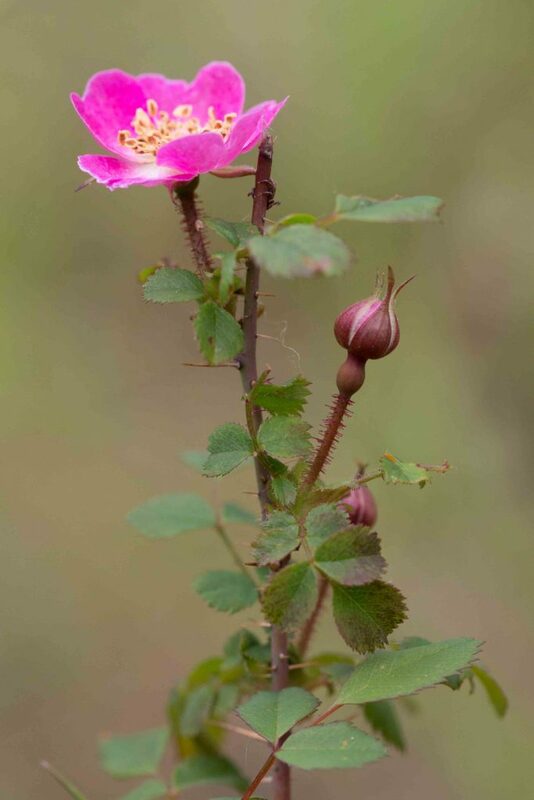 It is most easily distinguished by its stout, recurved prickles and the fact that the sepals are persistent, i.e. they remain attached to the hip. The flowers have 20–40 pistils. 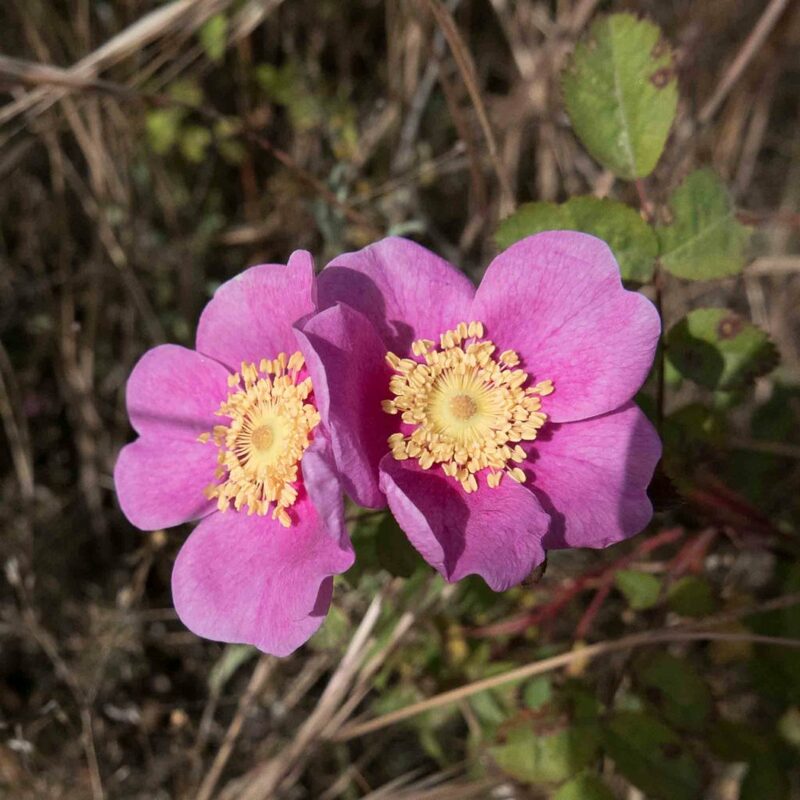 This is less common than California Rose (Rosa californica) and it has smaller flowers (petals 8–12 mm long), usually deep pink to red with 5–10 pistils. Leaflets (up to 9 in number) are also smaller. 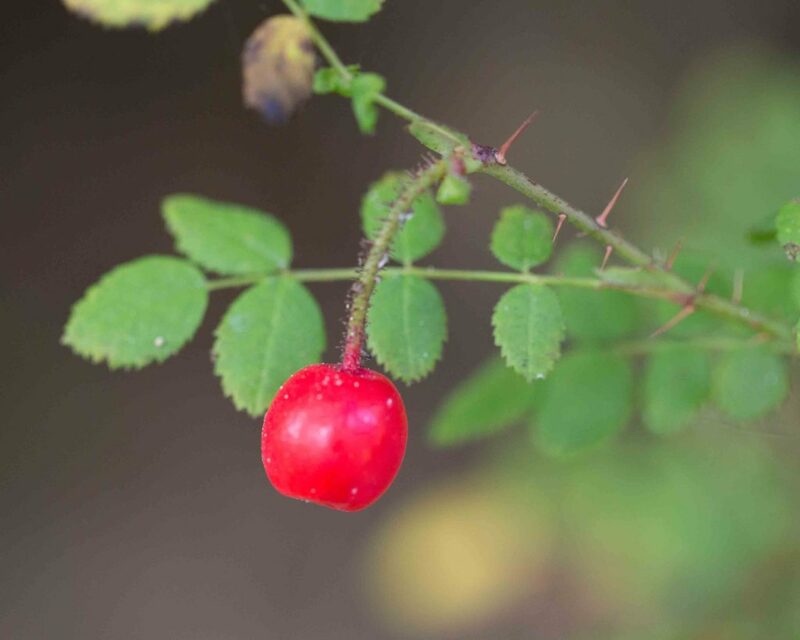 It has numerous prickles which are slender and straight. 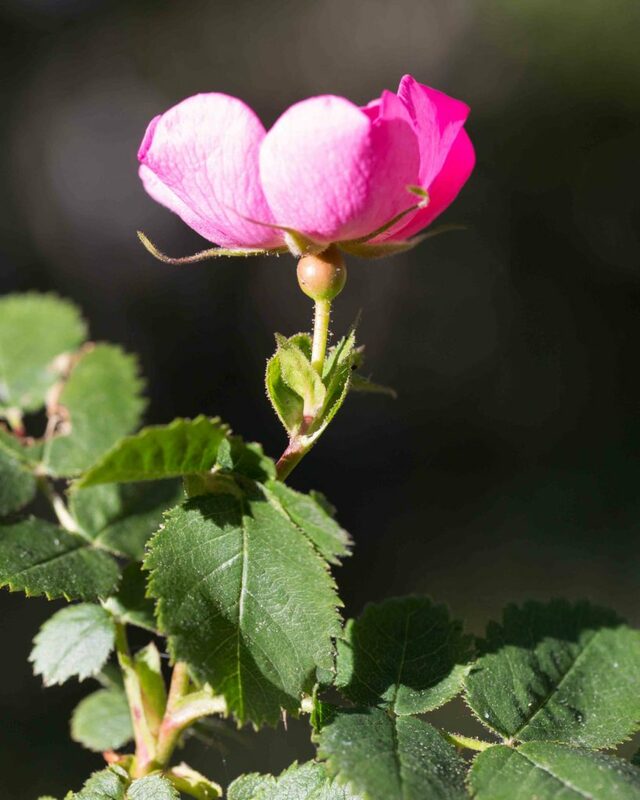 Its sepals are deciduous, i.e. they fall from the hip as it matures. The hypanthium is only 1.5–2 mm wide at the base of the petals. 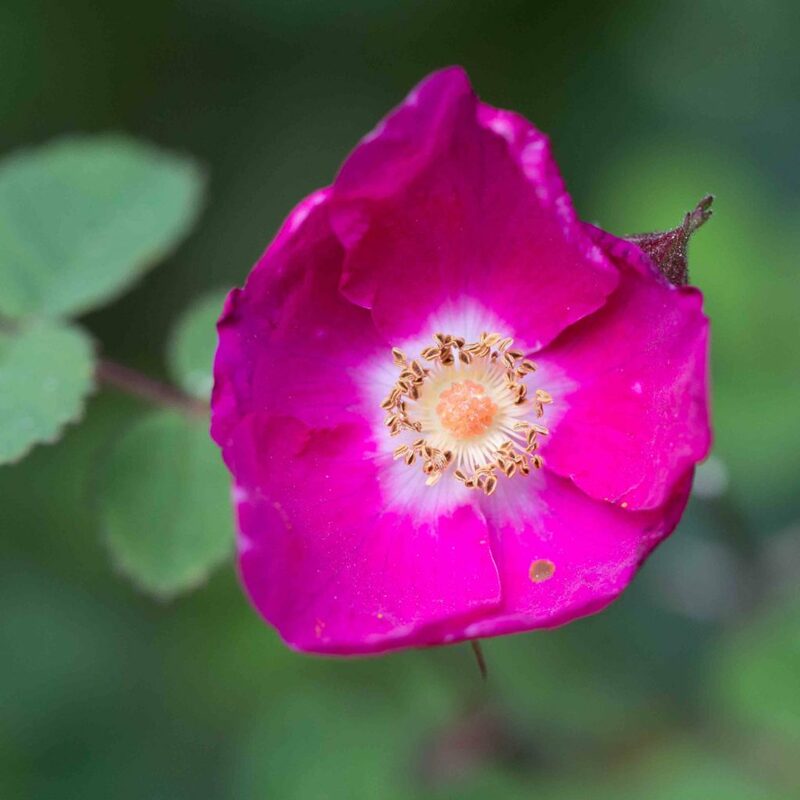 This is a small, rare rose. 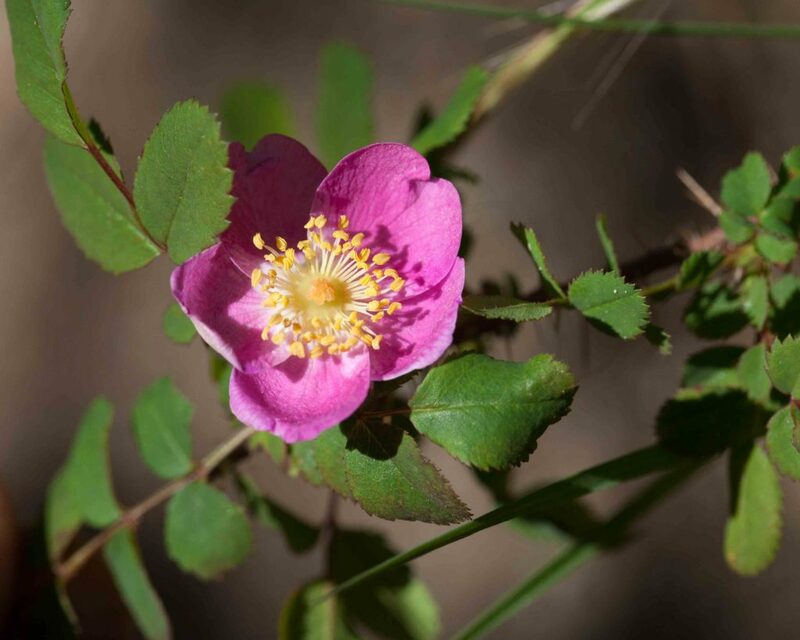 Like Wood Rose (Rosa gymnocarpa), it has smaller flowers than California Rose (Rosa californica) and prickles that are straight and slender. 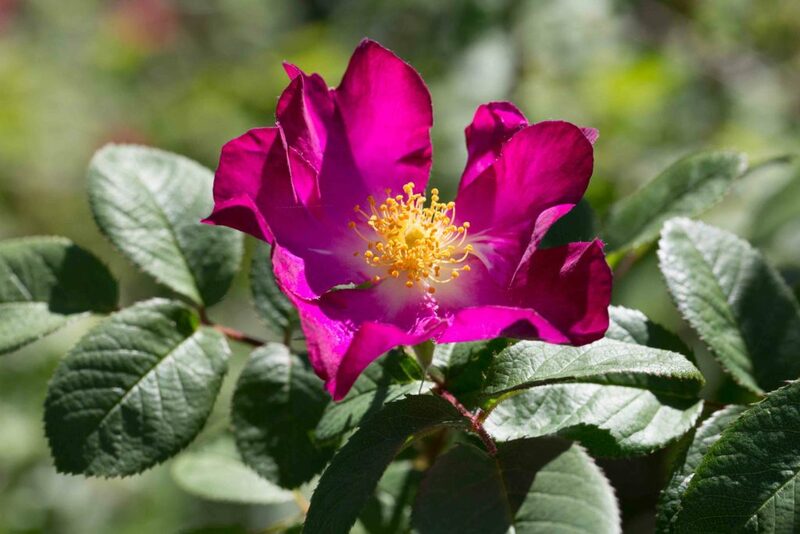 The flowers are a little larger than Wood Rose (petals 15–20 mm long), usually pink to red and with more numerous (10–20) pistils. 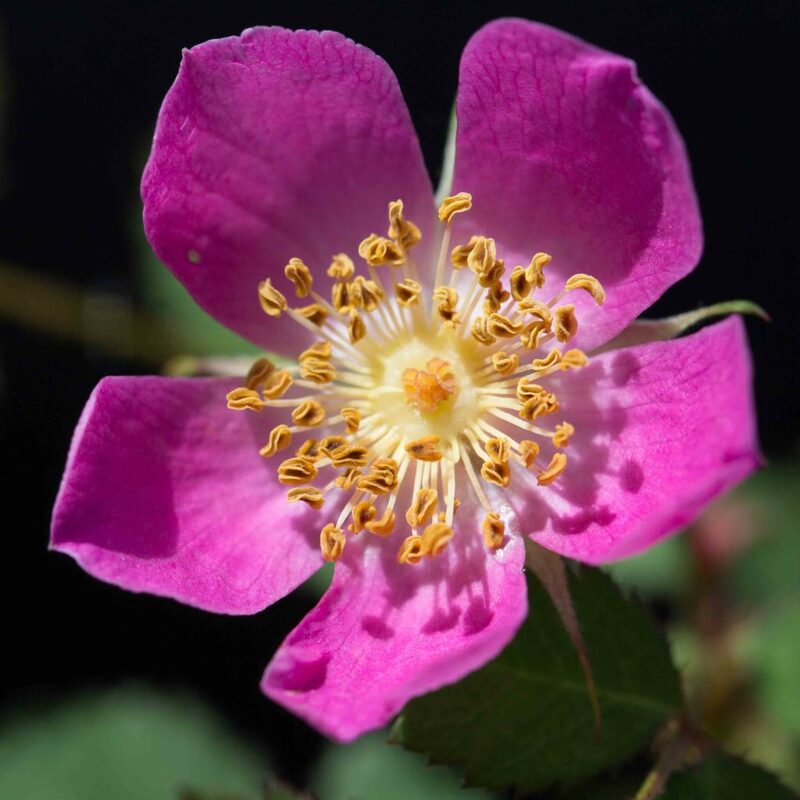 The hypanthium is also broader, 4 mm wide at the base of the petals. Leaflets are generally nor more than 7 in number. 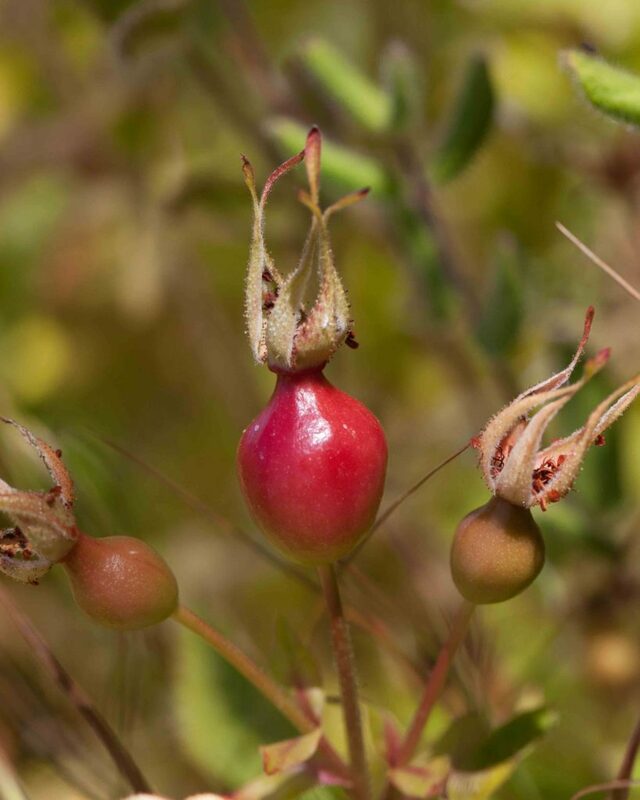 Its sepals are persistent, i.e. they remain on the hip as it matures. This is a problematic species, pure (non-hybrid) forms are uncommon. 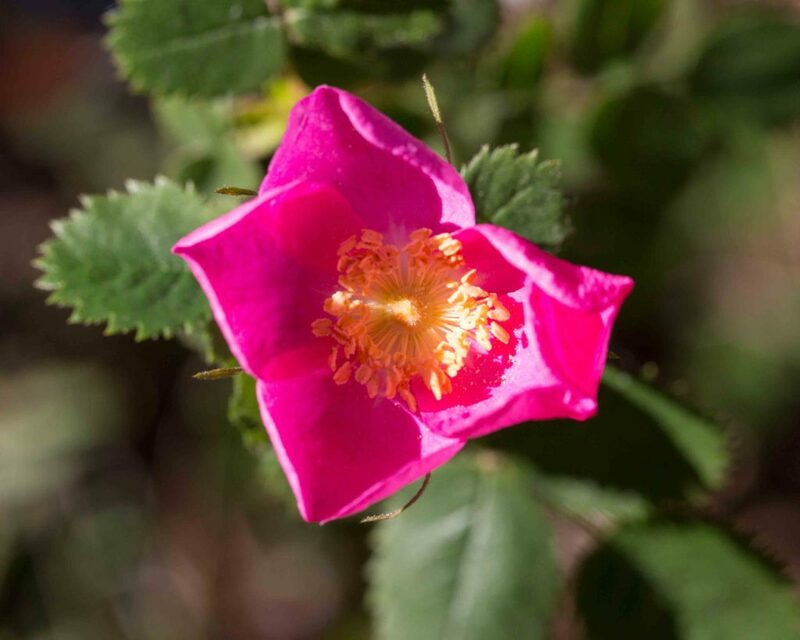 This forms a large shrub or thicket with large, rich pinkish-red petals (10–20 mm long). 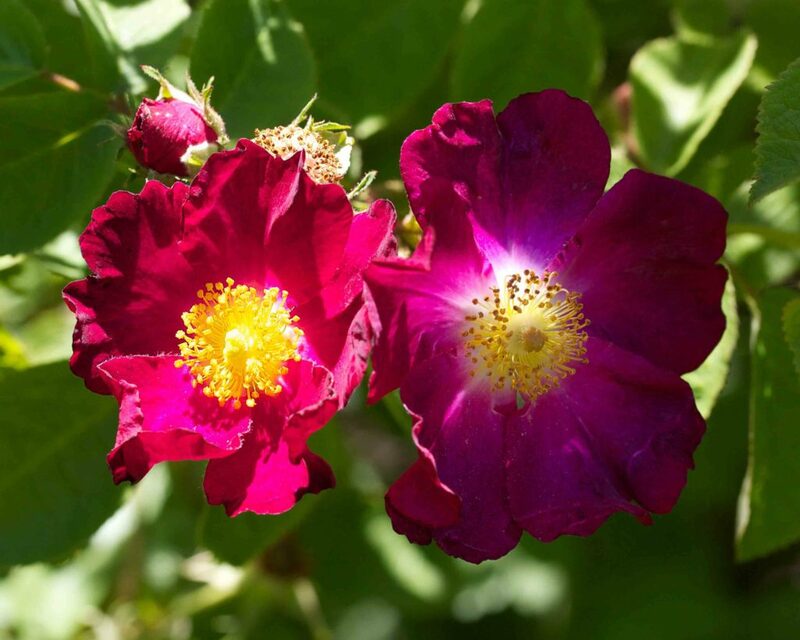 The flowers have 20–45 pistils. 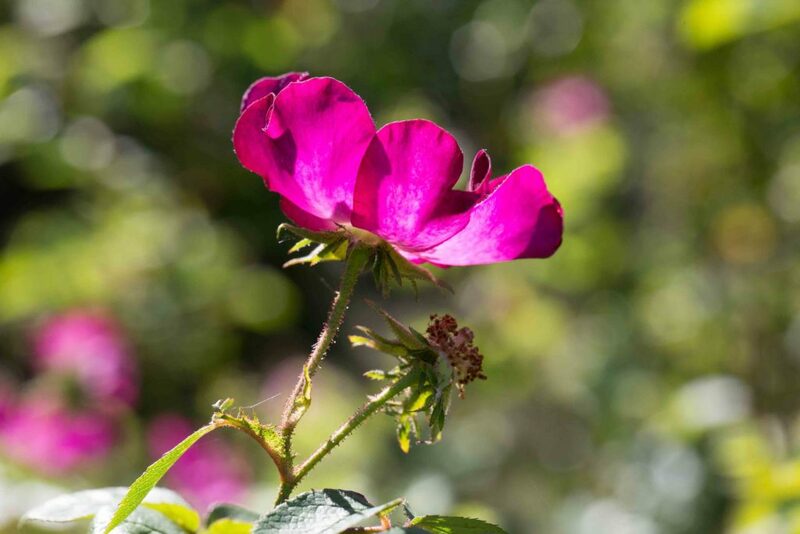 The sepals have toothed lateral lobes, unlike the native roses which all have entire sepals. Both leaves and inflorescence are noticeably glandular. 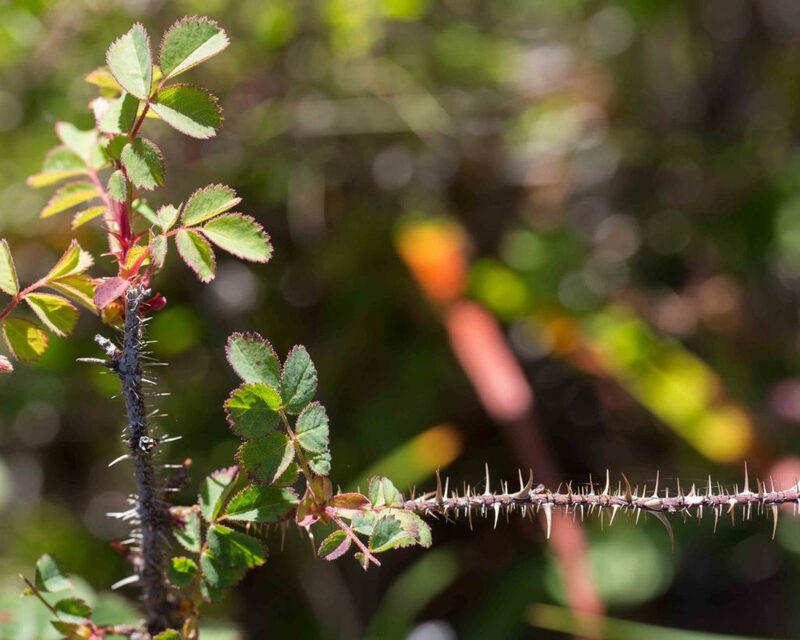 Prickles are few, thick based, curved and compressed from side to side.